Jennifer Gerres, DPM, Foot & Ankle Surgeon, Podiatrist at Foot and Ankle Specialists of the Mid-Atlantic, LLC, Washington, D.C. The speaker in the video may have no association with ( Dr. Jennifer Gerres, Podiatrist, Silver Spring, MD ). ( Dr. Jennifer Gerres, Podiatrist ), may talk about some of the conditions and some of the treatment options shown in the videos on HealthChoicesFirst. Always talk with your health care practitioner about the information you learnt from the videos in regards to treatments and procedures the healthcare practitioner could perform and if they would be appropriate for you. Remember good information is the corner stone to understanding your condition or disease. Please contact ( Dr. Jennifer Gerres, Podiatrist, Silver Spring, MD ) to enquire if this health care provider is accepting new patients. To make sure that you’re Exercising Safely During Pregnancy, you need the proper equipment. 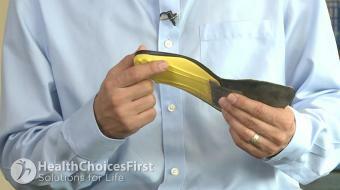 For some women, this means custom orthotics. Before you start a prenatal exercise program, consider talking to a local Podiatrist in Silver Spring, MD, such as Dr. Jennifer Gerres. If you have Osteoarthritis of the Feet, your health care team may include a rheumatologist, family doctor, podiatrist and more. A podiatrist can help you with treatment options such as orthotics and surgery, so contact a local Podiatrist in Silver Spring, MD, such as Dr. Jennifer Gerres. A podiatrist is a doctor who has received specialized training in podiatric medicine (DPM). 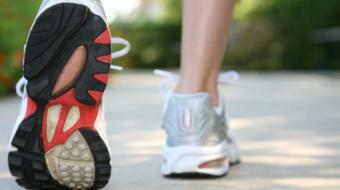 Podiatrists diagnose and treat conditions of the foot, ankle, and lower leg. Podiatrists treat a wide variety of health conditions, including deformity correction, diabetic foot care, and arthritis. In treating patients a podiatrist can also educate them on bone or soft tissue pain, hammertoe, plantar fasciitis, ingrown toenails, corns, bunions, plantar warts, toenail fungus, skin issues of the feet, and orthotic footwear.